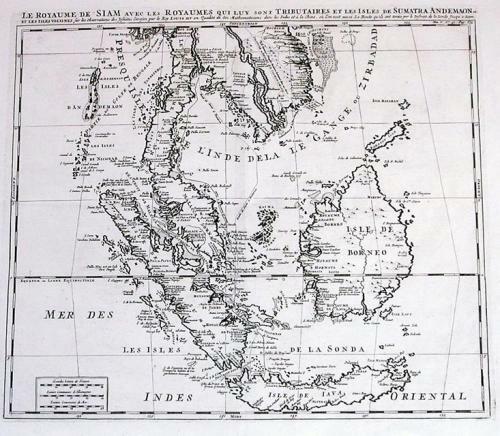 Description: A highly detailed and beautifully engraved map of the East Indies showing the Kingdom of Siam (Thailand) and the islands of Borneo, Sumatra and Java. This was the domain of the Dutch East Indies Company who made their headquarters in Batavia (Jakarta) on the island of Java. From there they were able to control the commerce of the whole region. Any other Country wanting a 'piece of the pie' would need highly accurate maps of the region. This is a fundemental map of the region.